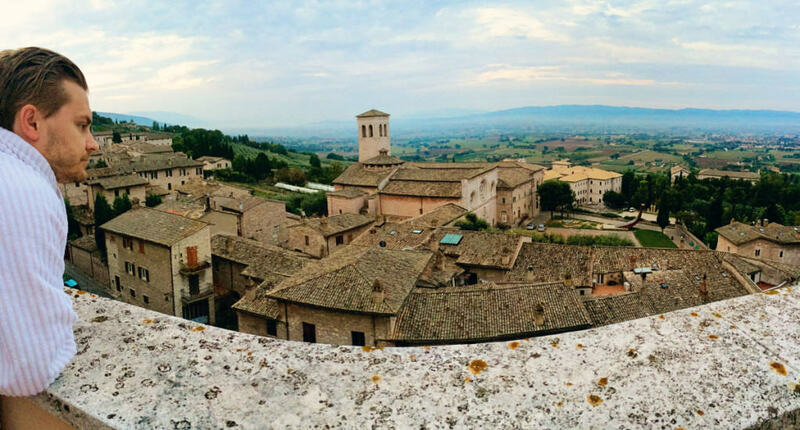 We fell in love with Assisi. 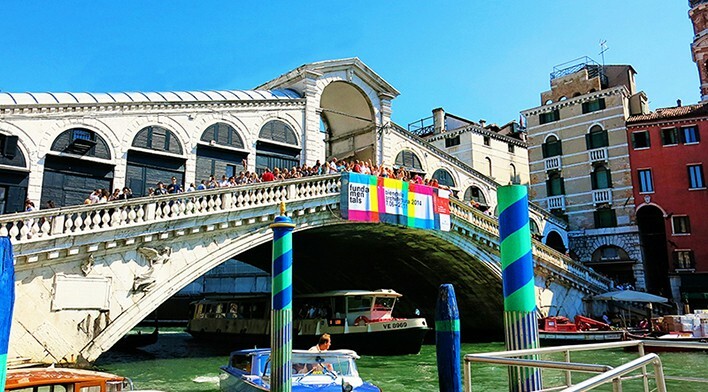 We only spent one night there whilst road tripping from Rome to Tuscany to Venice. One night was enough to fall in-love with this beautiful town. To read our post about why we loved this Umbrian town so much, click here! 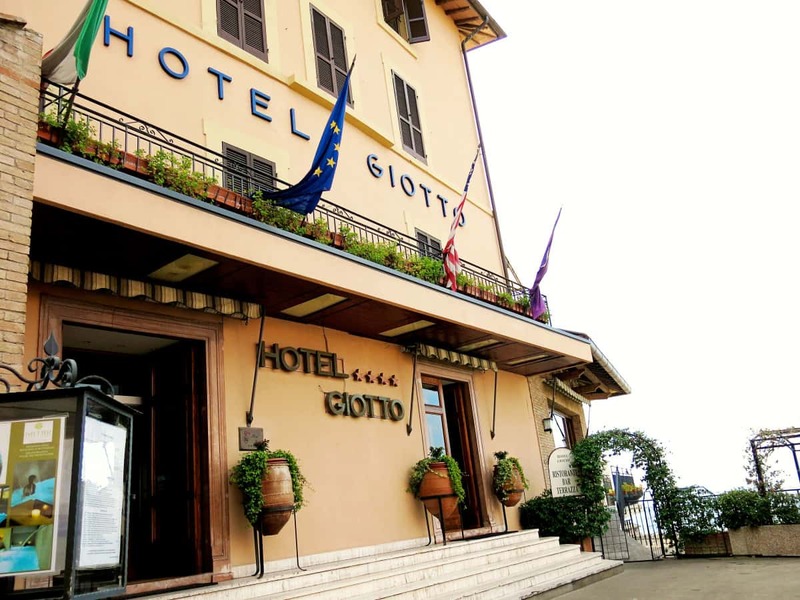 During our stay at Assisi, we chose to stay at the gorgeous Giotto Hotel and Spa! 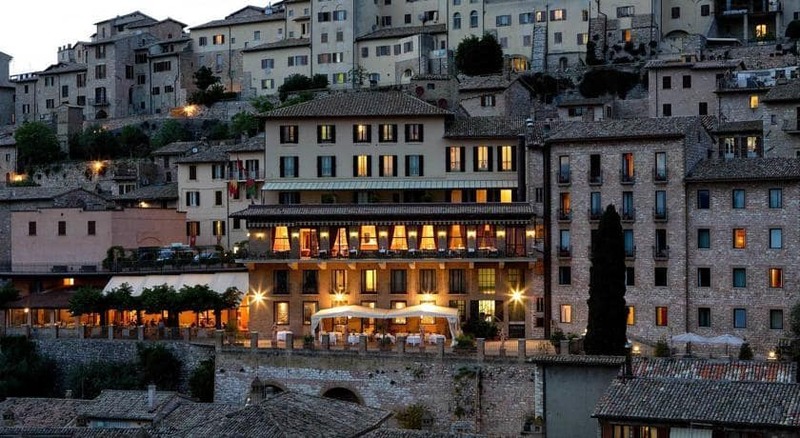 Hotel Giotto Assisi is perfectly situated in the Medieval quarter of the beautiful little town of Assisi in Umbria! We actually arrived at Assisi at night and all the lights from the town were simply magnificent to see!! If you look at the photo above, you will see the hotel where the white sails are. As we were road-tripping from Rome to Venice, we had a car that needed to be sorted out. Fortunately, the staff at the hotel truly are incredibly attentive and friendly! Within no time at all, they had parked our car for us and had us booked into our room! 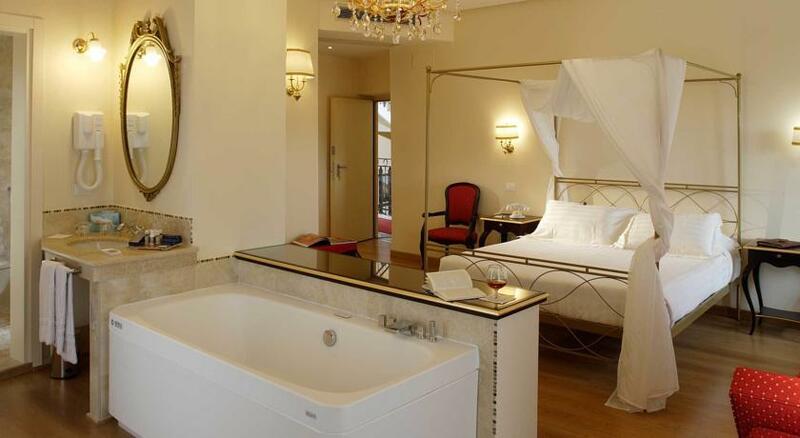 We were a bit spoilt with our room as we received a free upgrade for our Honeymoon stay. They upgraded us from a small standard room to a luxurious room with one massive balcony overlooking the Umbrian valleys below. We loved watching the sunrise in our little guest robes. And loved the special touches found around the grounds of the hotel. The view over the valleys of Umbria together with these gorgeous, immaculate stone buildings and basilicas were simply perfect!! The staff at the hotel were exceptionally friendly and helpful with recommendations of where to eat. 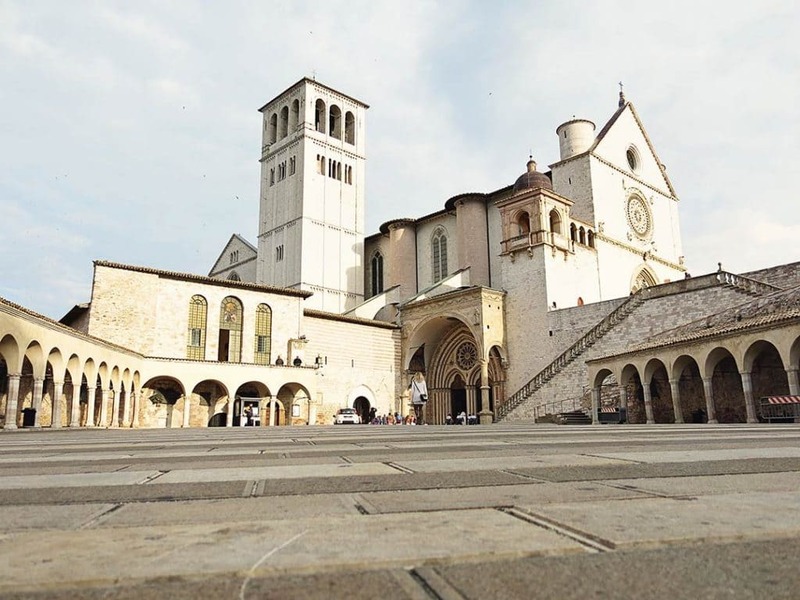 Giotto Hotel & Spa is only 200 meters away from the famous Basilica of Saint Francis; this basilica is probably the reason why you wanted to visit Assisi in the first place! 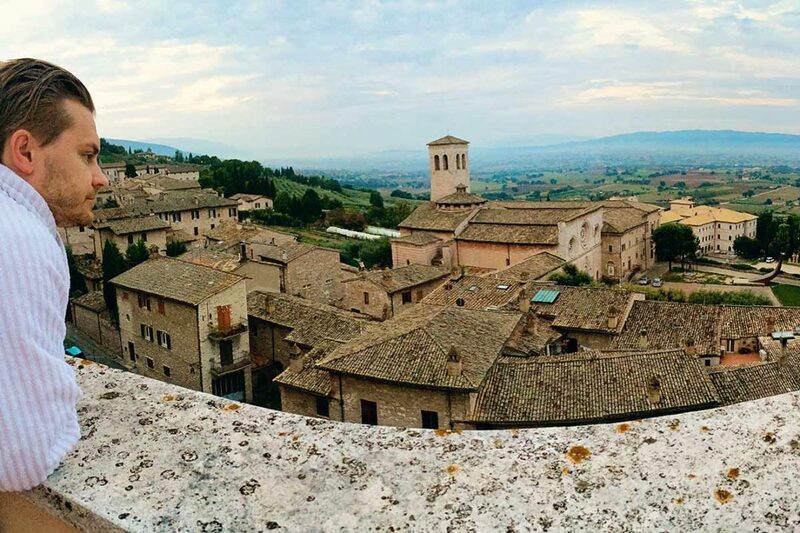 Read our post about what to do in Assisi, here! If you are staying for a few nights, you might also like to explore Foligno and Santa Maria Degli Angeli, which are only a short drive away! 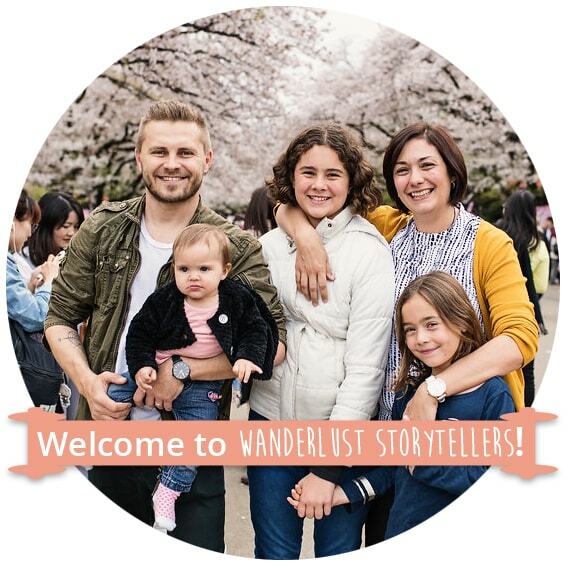 We can highly recommend this gorgeous gem of a place! 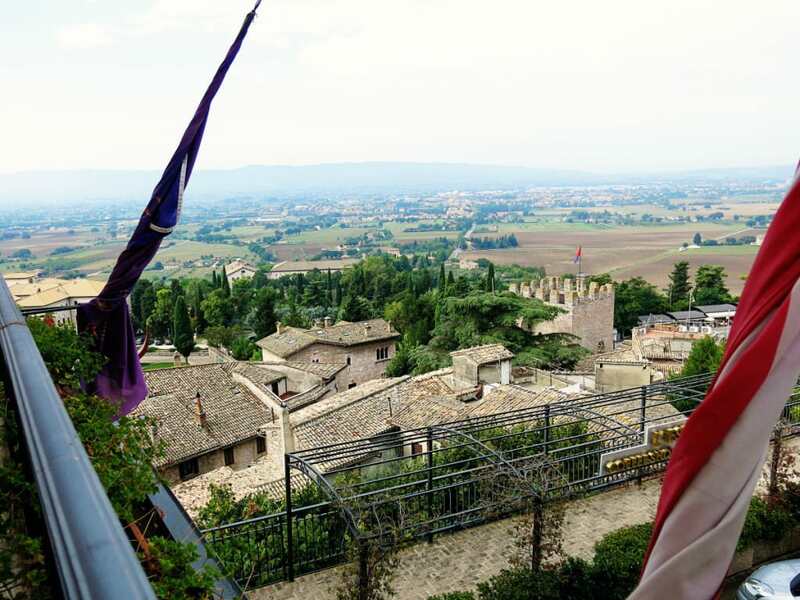 Hotel Giotto & Spa in Assisi is truly one of the top Assisi accommodation options! 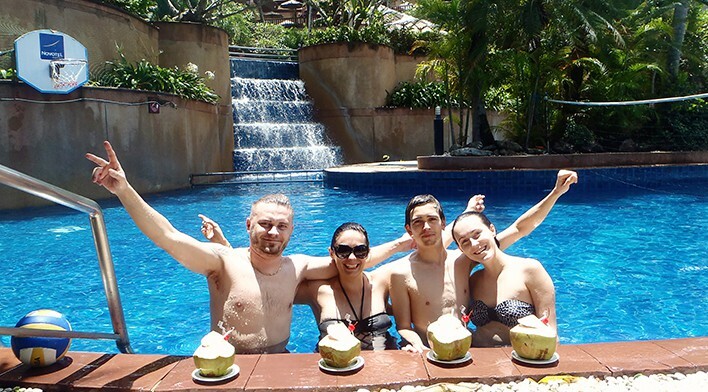 Next time, we just plan to stay for longer and soak up more of the luxurious atmosphere! The Best Breakfast you will have whilst in Italy! Check Prices! | Read the Reviews on TripAdvisor Here! 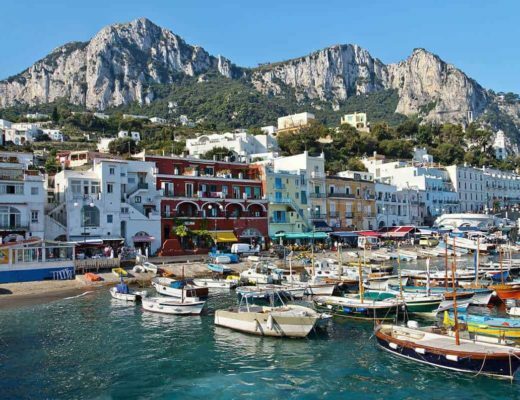 | Book Giotto Hotel and Spa! * This post contains affiliates links. Please note, that we were not sponsored by this hotel and paid full price for the room. Using our links costs you nothing extra but helps us stay in business. Thank you for your support!